Guest Post from Dewald Botha, an au pair from South Africa who is matched with a family in Arizona. 400 E Washington St in Down Town Phoenix AZ is where it all went down Monday night April 29th. Walking up to the Comerica theatre you were greeted with city street lights shining bright and underneath them Paromore fans were starting to all come together. The lines were starting to pile up and the merchandise line was already jam packed and remained that way through out the night. 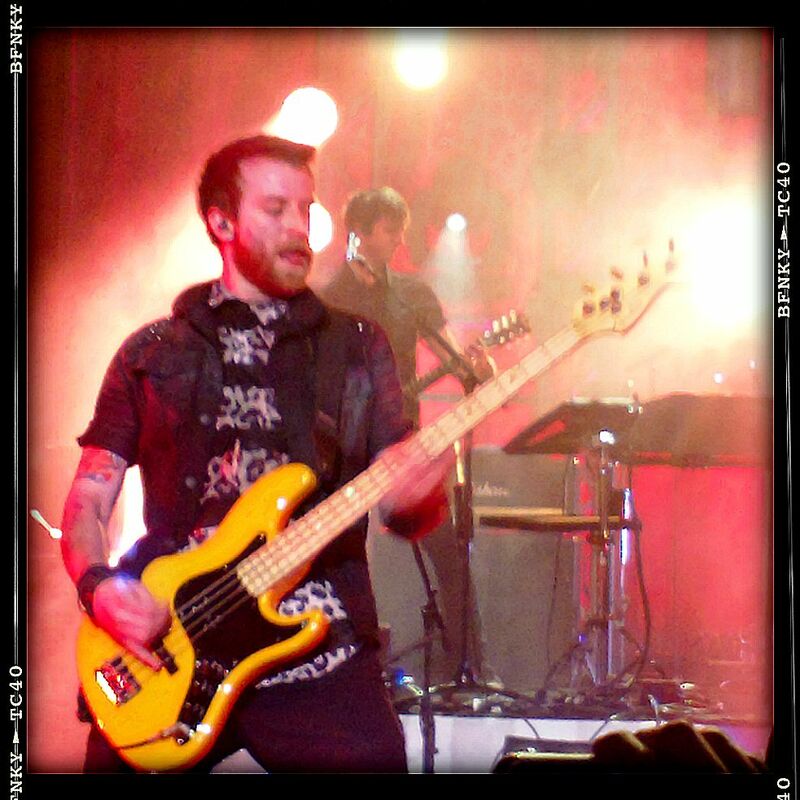 Inside the theatre the atmosphere was filled with excited and nervous energy from die hard fans of all ages waiting for Miss Williams to hit her first note for Taylor York (guitarist) to play his first riff and for Jeremy Davis (bassist) to drop some bass into the mix. Lukas Frank, Bryan DeLeon, Waylon Rector, Zach Bilson. From their first song they had everyone’s attention with mind blowing vocals by their front lady Chloe! theatre and everyone were ready to be blown away. Hayley opened the show with a new song from their new album “NOW” called “Moving On” and followed it up with the all time favorite “Misery Business”. Right about now everyone was on their feet and the up beat sounds of Paramore kept it that way through out the show. I remember looking up at the sky and just seeing it rain confetti, I closed my eyes and it felt even better than a dream. 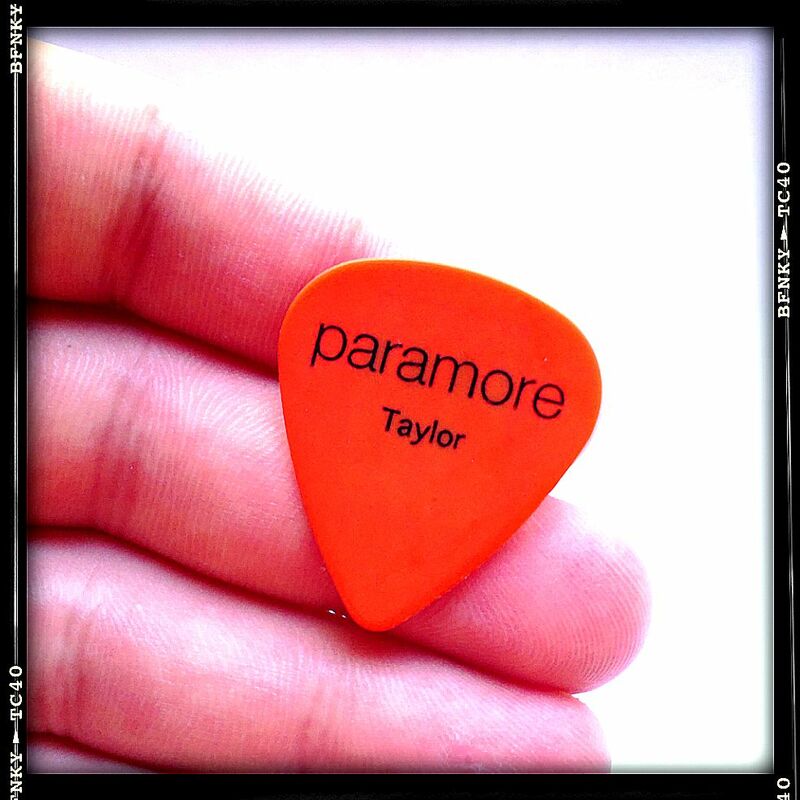 As the band was waving goodbye to the crowed, Taylor (Guitarist) came up to the center of the stage and flicked his guitar pick straight at me. I remember seeing it hit the girl in front of me right between the eyes in slow motion. It was quite funny… At that very same moment I dropped down to the ground and with a huge amount of luck I found the guitar pick underneath all the confetti. I haven’t felt that lucky in a very long time and for the first time in my life I was at the right place at the right time. This was my first Paramore live concert experience and for many years back home in South Africa I could only dream of seeing one of my favorite bands live! I can honestly say the real deal is way better than all the You Tube videos I have seen. Haha. Seeing these – Rock and Roll Role models – people who have inspired so many young kids to make music in person was just mind blowing to me. It was a night to remember and I can only hope that I’ll get the chance to give Miss Williams a High 5 someday in the near future. Crystal D., Armand B., Ntombifuthi B., Thandeka M.
Thinking about getting a male au pair? Here are some reason why it might work for your family.